Look stylish as you Stand Up for accelerated cancer research with our dolman Stand Up, Stand Up, Stand Up women's dolman. 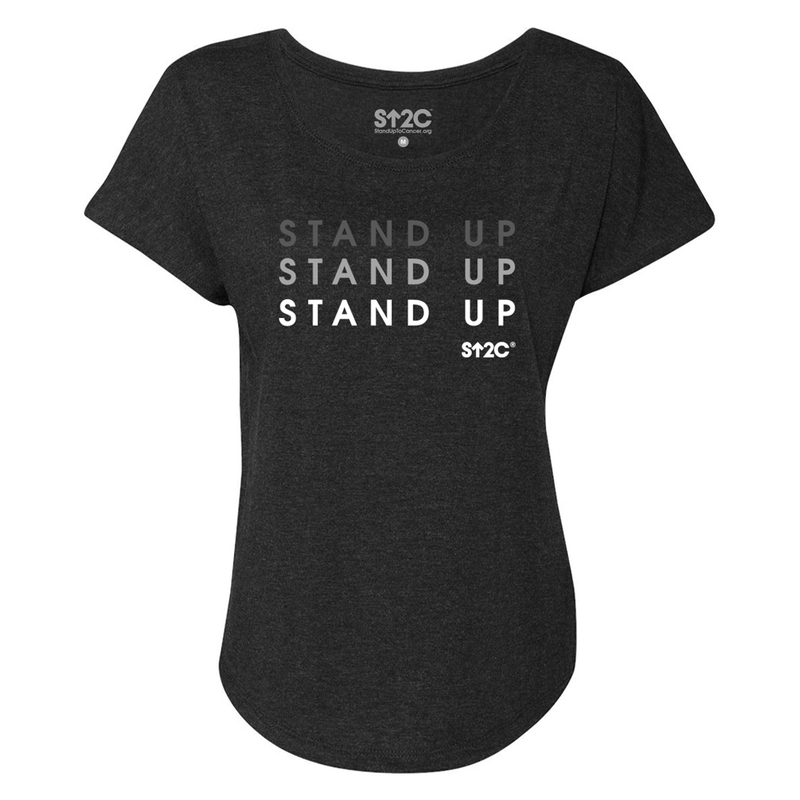 Flowy and comfortable this vintage black dolman features the phrase 'Stand Up' and SU2C's short logo on the front. This modern t-shirt is a great must-have for your wardrobe.